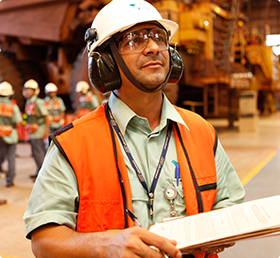 All of Vale’s relationships are underpinned by high ethical standards, as expressed in our Code of Ethics and Conduct, which establishes rules to be followed by the Board of Directors and its Advisory Committees, members of the Audit Council, directors, employees and interns in relations with the company itself, with co-workers and with people who have any kind of link with Vale. To tackle new challenges, the Code of Ethics and Conduct was reviewed in early 2014. You can read the document here.